Americans are filing for bankruptcy at the fastest rate in several years. In January 2017, 55,421 individuals filed bankruptcy. That’s a 5.4% increase over January 2016. In December 2016, 4.5% more individual bankruptcies were filed than in December 2015. It’s the first time in 7 years that personal bankruptcies have risen in successive months on a year over year basis. Also notable, in 2016 the number of U.S. Corporate bankruptcies jumped by 26% over 2015. U.S. Corporations have issued $9.5 trillion in bonds. That’s 61% more than they borrowed in the eight years leading up to the 2008 de facto financial system collapse (aka “the great financial crisis”). The Financial Times reported that over 1 million U.S. consumers – prime and subprime – were behind on their car loans and that the overall delinquency rate had reached its highest level since 2009. The FT also stated that “lending to consumers with weak credit scores has been one of the fastest growing parts of the [banking] industry.” It’s starting to smell like early 2008 out there. This is information and data that you will not hear on any of the “Bubblevision” financial “news” programs or read in the mainstream financial media. It’s also information that is not being factored at all by stock prices. Americans are bulging from the eyeballs with mortgage, auto, credit card and student loan debt. The amount of outstanding auto debt hits a new record every month. Of the $1.2 trillion in auto loans outstanding, over 30% is considered subprime. In fact, I would bet good money that the number is closer to 40%, as the same type of non-documentation loans that infected the mortgage market in mid-2000’s has invaded the auto loan market. It was recently disclosed that the 61+ day delinquency rate on General Motors’ securitized subprime loans has soared to levels not seen since 2009. To put the amount of subprime auto debt in context, assume 35% of total auto debt outstanding is now below prime (subprime and “not rated”). This equates to $420 billion of below prime debt. The total amount of below prime mortgage debt during the mid-2000’s housing bubble was about $600 billion. In other words, the subprime auto debt problem could easily precipitate another financial markets catastrophe. Although the retail sales report for January earlier this month purported to show a 4.9% year/year increase in retail for January, the majority of the “gain” came from the rising price of gasoline during the month (the gasoline sales category showed a 13.9% gain over January 2016, most of which can be explained by higher prices). In fact, the .4% “gain” from December 2016 to January 2017 reported for the overall retail sales number lagged the Government’s measure of inflation. Real, inflation-adjusted sales from December to January declined by 0.20%. (Note also that the retail sales report is derived largely from Census Bureau “guesstimates” due to the supposed unavailability of real-time data. This explains why typically previous reports are revised lower – I detail this in my weekly Short Seller’s Journal). Debt-squeezed Americans are spending less on discretionary items, especially clothing. This is why Walmart has launched a new price-war agenda aimed at the grocery industry, big-box retailers and Amazon.com. The retail spending “pie” is shrinking and Walmart intends to do fight hard to maintain the size of its piece. For all the attention focused on Amazon, Walmart’s annual revenues are nearly 4-times larger than Amazon’s. And make no mistake, Walmart has plenty of room to fight, as its operating margin is nearly double AMZN’s – and that’s before we adjust AMZN’s highly misleading accounting, which would reduce AMZN’s margins. Target (TGT) is today’s poster-child for the retail sector, as its Q4 earnings missed expectations badly and it warned for 2017. Its quarterly revenues dropped 4.3% year over year and its full-year 2016 earnings fell nearly 6% vs. 2015. Operating earnings were crushed, down 42.2% in Q4 2016 vs. Q4 2015. The stock is down over 11% right now (mid-morning trading on Tuesday). I would also suggest that the revised GDP for Q4, reported to be 1.9%, is derived from Government statisticians’ manipulation because most of the gain is attributed to consumer spending. Tell that to holders of XRT and RTH. The economy is sinking further into a recession despite the propaganda coming from Wall Street, financial bubblevision “meat with mouths” and the mainstream media. Real median household income continues to decline and the Fed/Government intervention in the stock market is helpless to prevent this fact from being reflected in many sub-sectors of the stock market “hiding” beneath the headline-grabbing Dow and S&P 500. My Short Seller’s Journal presents analysis like this to subscribers every week. There’s a big difference between what gets reported and what is really going on. My journal looks “under the hood” of the headline economic reports in order detail what’s really going in in the economy. Most of the analysis and assertions are backed up with actual data. I also “de-construct” the game of “beat the earnings” which makes headlines and stocks pop, but also creates short-sell opportunities. Each issue presents at least two short ideas, along with suggestions for using options and managing positions. The retail sector has been fertile shorting ground and the housing market is next. You can subscribe by clicking on this link: Short Seller’s Journal – plus receive a discount link to my Mining Stock Journal. 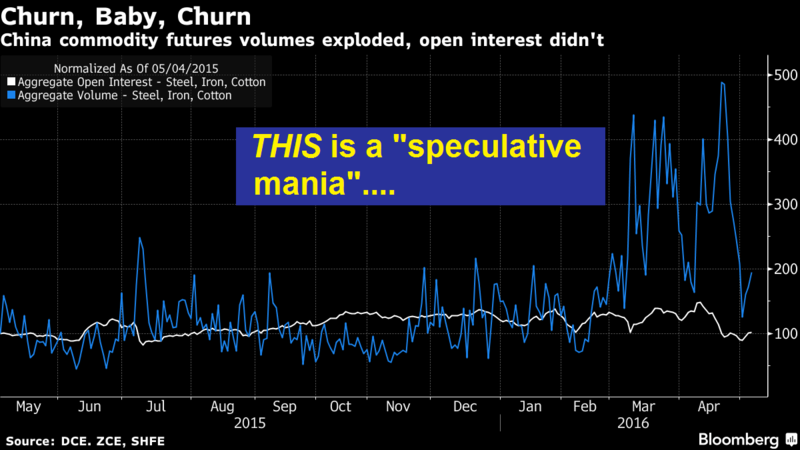 Strange things are happening in the global financial markets. Most likely evidence of a massive systemic earthquake starting to shake. As many of you know, the LBMA price fix “fixed” the a.m. price of silver 84 cents below the front-month futures price right before the price was “fixed.” This graph to the right shows how the criminal activity went down (click to enlarge). I awoke this morning and had an email from Bill “Midas” Murphy asking me if the $13.98 low print shown on Kitco was correct. I responded that it looked like there were some “low hanging” stop loss orders that were attacked in an attempt to get the price of silver down. This was before I had learned of the crime committed on the LBMA. I would love to have an explanation from the committee in charge of overseeing the LBMA fix. The fact that paper silver bounced back almost immediately is evidence that the a.m. fix was a fraudulent act in its entirety. But for what purpose? The price fix is supposed to be the price that balances out the amount of physical silver bars being offered for sale and bid to purchase during morning trading. The entities selling silver on Thursday morning didn’t just get their faces ripped off, they had their entire head decapitated. These are the entities who should be pressing for investigation. It’s money out of their pocket or their clients’ pockets. This was my final comment to Bill on this matter: The insider elite are laughing at everyone spending so many calories and so much energy reporting, discussing, analyzing and agonizing over the paper vs. physical issue. Meanwhile the biggest theft in history is taking place right under our nose as they pluck every ounce of physical gold and silver out of the system from the idiots and the idiotic mining companies who are willing to sell it at the paper price levels. The biggest wealth transfer mechanism is the Central and bullion banks. The banking system has been ripping us off in every aspect of our lives for decades. Why on EARTH would anyone question or doubt that they’re ripping us off in the precious metals market? Seriously. Everyone in their heart of hearts knows that gold/silver are the ultimate root of any monetary system. Why would the banks rip us off using paper currency schemes and not touch the metal? For God sakes, the metal is what they’re ultimately after. That’s why the first thing any military does when they take over a country is it takes the gold. The most recent proof of this Ukraine. That practice goes back to at least the Romans. Someone sent me an excerpt from Ted Butler’s “news” letter in which he rationalized away the reason why the registered gold vault account at the Comex was so low now. Bill, I seriously think he was on LSD when he dreamed that one up. I guess what’s most troubling about the above incident is the blatancy with which the LBMA crooks implemented their crime. They made no attempt whatsoever to cover up the crime scene. It’s almost like they’re taunting us. This brings me to the issue of AMZN’s trading today. AMZN stock ran up $52, or 8.9% ahead of its quarterly earnings to be released right after the NYSE close on extraordinary volume of 14 million shares – 2.4x more than its 10-day average daily volume. After the market closed, AMZN’s stock plunged as much at $95 from the close on a disappointing report. It closed out the after-hours session down $85. I bring this up because there is no question in my mind that the stock was likely run up by one of the hedge funds with a big position in the stock (or possibly two or three in collusion). The purpose of this would be to generate a frenzy of buy activity into which the hedge fund could unload a chunk of stock. This also implies that one (or more) of the big funds was given a “heads up” from inside AMZN about the nature of the report. In present times, the laws and regulations designed to prevent/discourage insider trading are rarely, if ever, enforced. Insider information sharing is almost as blatant as the London silver price fix today. Of course, I have zero sympathy for any of the idiots who chased the stock higher today. Anyone who goes near that stock without doing extensive analytic work will get what they deserve. Some of these big hedge funds who have massive AMZN positions are eventually going to get impaled on their holdings (or at least the pensions they manage money for will). Here’s an example of one of the retail trading oriented dopes who was giddy about AMZN stock before it reported – Timothy Collins of TheStreet.com’s Real Money: I’m Bullish On AMZN Ahead Of Earnings. Nice trade, Tim. Speaking of AMZN’s numbers, I will hopefully get around to updating my AMAZON dot CON report with the latest information sometime in the next 5-7 days. If you have already purchased the report, please email for the update. If you have not yet purchased the report but have thought about it, I am going to raise the price again (it takes a lot of time and energy to work on this Company’s numbers) once the full research report is published with the update. Today’s after hours action was just the start of the AMZN bubble deflation process. I don’t know what path it will take, but I know that AMZN’s stock will eventually fall from the $550 after hours close today to below $100. To be sure, there will be periods of time when the stock moves up sharply because Jeff Bezos is the king of highly misleading stock promotion and there’s plenty of idiots out there who lap up his drool with blind greed. 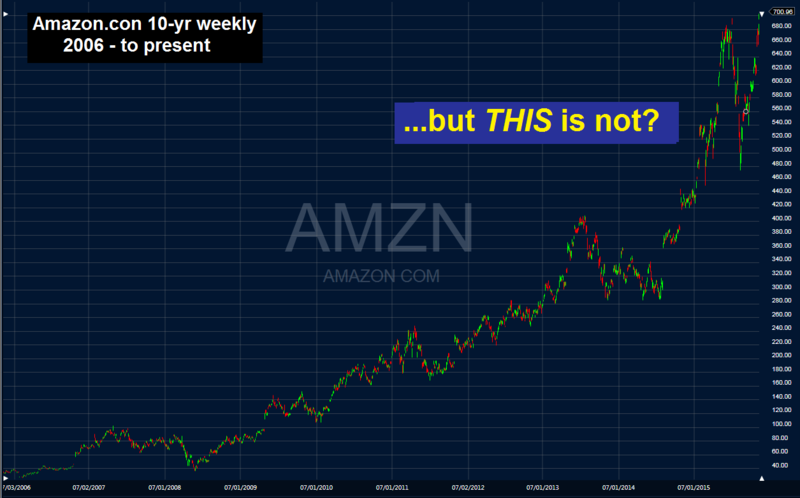 My stock report will help you understand why AMZN is one of the world’s greatest Ponzi schemes. It began last night with FB’s earnings release, which triggered a spike in both FB and AMZN stock after-hours: LINK. I have been very clear to the subscribers of my Short Seller’s Journal to avoid shorting AMZN ahead of its earnings release after the market today. I also advised them to take profits on any short positions or put positions last week. I have been on the record stating that I fully expect AMZN to report a blow-out quarter. The trick is to understand how and where they are using GAAP/non-GAAP to inflate the net income and “free cash flow” numbers they will report. AMZN continues to burn cash and will continue to burn cash. That’s the bottom line. Point in case is this puff-piece from Bloomberg News this a.m. which describes how AMZN generates revenues – yet it fails to describe how AMZN turns those sales in real net income and real cash flow. FYI, AMZN states in the fine-print of its 10K/10Q filings that its reported “free cash flow” number is not a metric that conforms to Generally Accepted Accounting Principles – a fact that should not surprise anyone who does real research and analysis on AMZN.